Размер при предпросмотре: 600 × 600 пикселей. Другие разрешения: 240 × 240 пикселей | 480 × 480 пикселей | 864 × 864 пикселей. 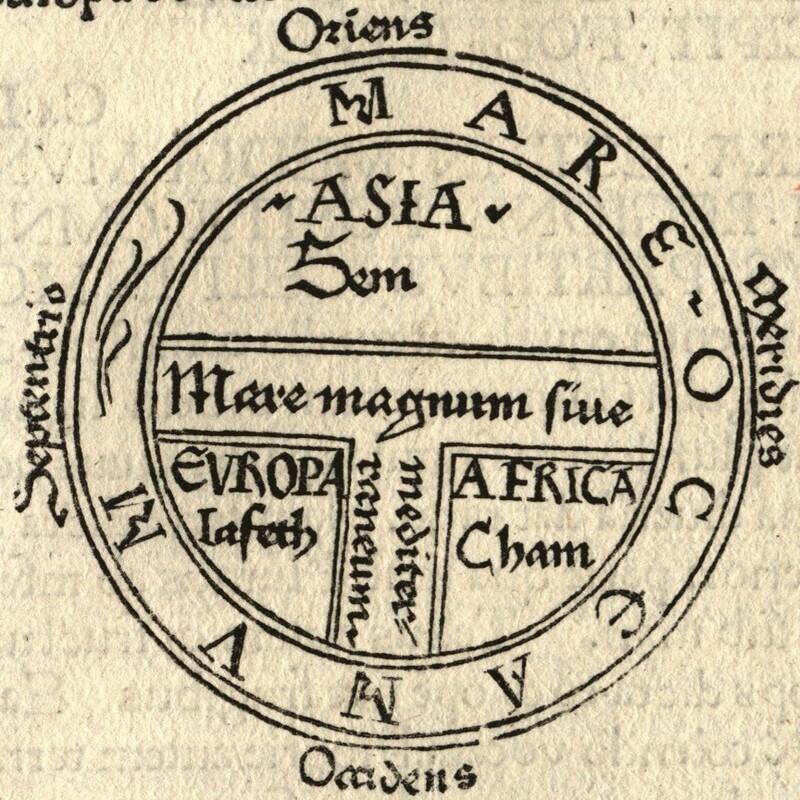 T and O style mappa mundi (map of the known world) from the first printed version of Isidorus' Etymologiae (Kraus 13). 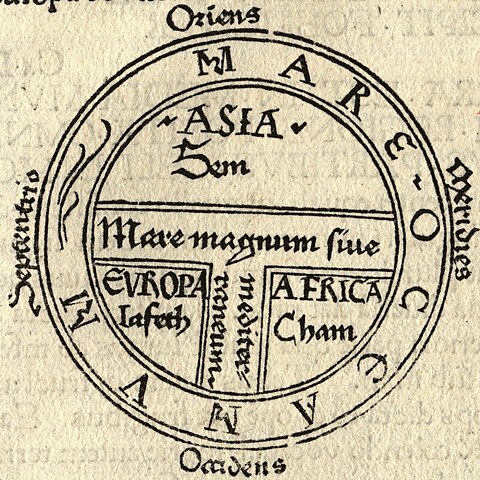 The book was written in 623 and first printed in 1472 at Augsburg by one Günther Zainer (Guntherus Ziner), Isidor's sketch thus becoming the oldest printed map of the occident. Note: T-O-maps are typically displayed "East-up", show Jerusalem at the center and the paradise at the outmost East, balanced by the pillars of Hercules at the outmost West.